Okay, I can't resist a few words today! 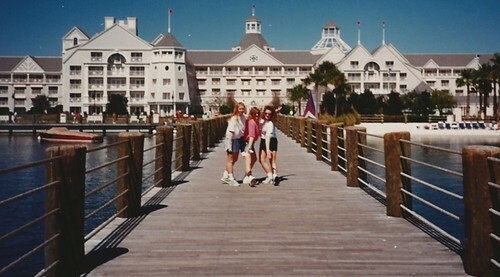 In the spring of 1993, three of my girlfriends and I visited Walt Disney World and stayed at the Yacht Club Resort. I loved it and have stayed there several more times. I was thrilled beyond words to discover that the 2012 Disney Social Media Moms Celebration would be held at the Yacht Club. I am so excited to be attending (NEXT WEEK!) and glad to be returning to the Yacht Club. I have to share one more picture from that trip. We ate supper in Cinderella's castle and the park was closed when we left. 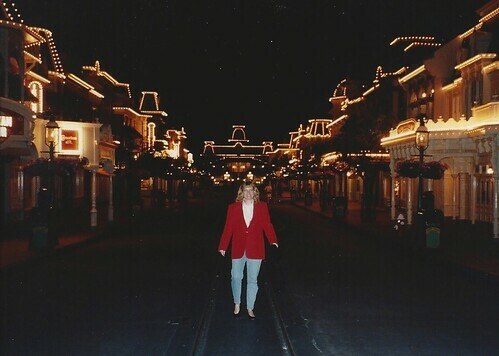 I couldn't resist taking a picture on Main Street, USA with a virtually empty park! Check out some of the other Wordless Wednesday posts below, or add your own!